Driven by the disruptive force of computing and the information sciences—which increasingly impact how researchers work and collaborate by providing them with the ability to extract meaningful information from enormous data sets—whole new fields are developing at the intersection of science and engineering that will shape our future. In 2017, IST launched a initiative — Caltech Computes: Disrupting Science and Engineering with Computational Thinking — which builds on the foundation of IST’s impressive success in inventing new “CS+X” fields at the interface of the information sciences and other areas in science and engineering. The Caltech Computes vision is for Caltech to play a unique role in pushing computer science forward. 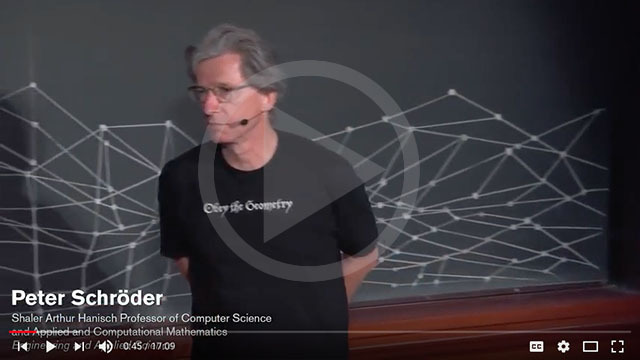 By taking advantage of the amazingly interdisciplinary environment at Caltech, the initiative hopes to make Caltech computer science synonymous with the invention of new cross-cutting fields. 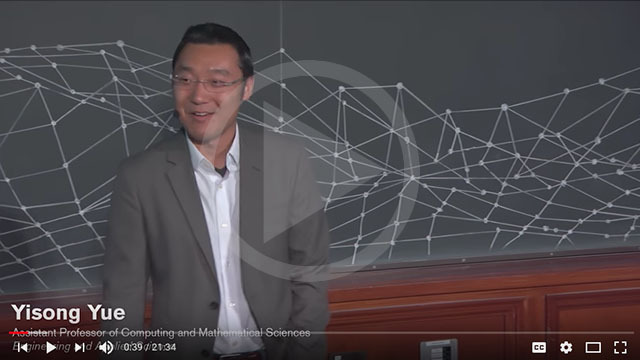 “What happens when you take computational thinking and combine it with some other discipline? Something new and disruptive. Caltech is uniquely positioned to lead in these areas." 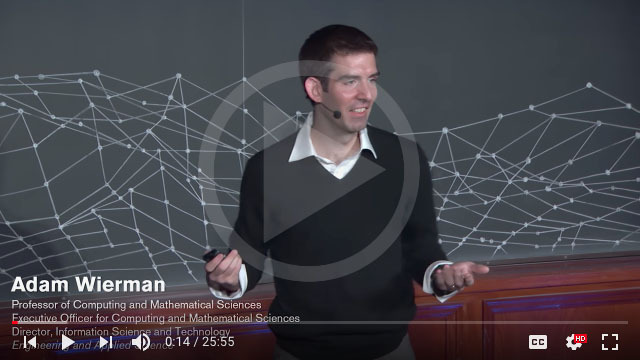 Adam Wierman, said at the kickoff event while introducing a series of faculty speakers. Historically, Caltech has had enormous successes with this “CS+X” vision, including playing a fundamental role in the creation of VLSI, quantum computing, DNA computing, synthetic biology, neural networks, algorithmic game theory, computer music, and many more. 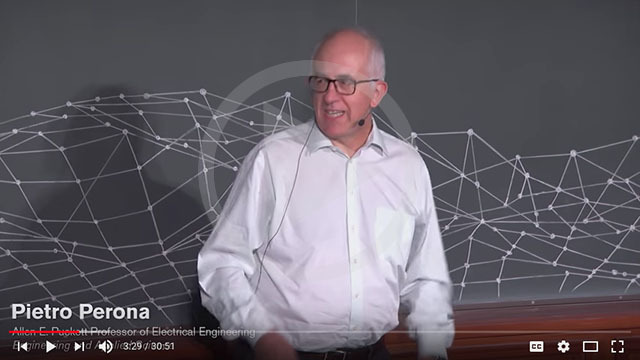 This spirit is thriving today as the Caltech Computes vision takes hold, as the talks featured below show. Pietro Perona, Allen E. Puckett Professor of Electrical Engineering, is developing algorithms capable of distinguishing individual bird and tree species using a combination of machine learning and expert human input. 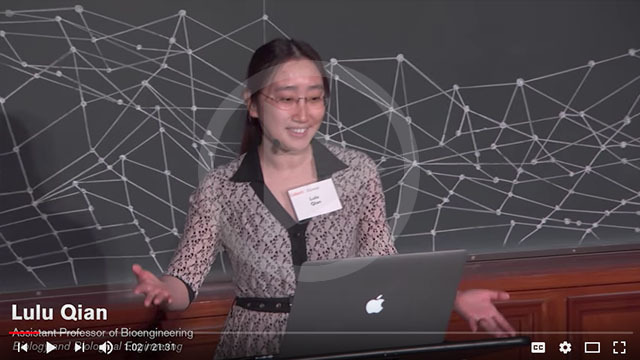 Yisong Yue, assistant professor of computing and mathematical sciences, is collaborating with Joel Burdick, the Richard L. and Dorothy M. Hayman Professor of Mechanical Engineering and Bioengineering and JPL research scientist, to develop a prosthesis that can utilize machine learning to help patients with spinal injuries to stand again. 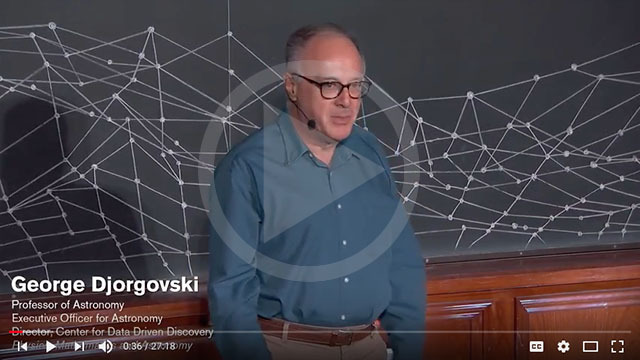 George Djorgovski, professor of astronomy, director of the Center for Data Driven Discovery, and executive officer for astronomy in the Division of Physics, Mathematics and Astronomy is searching for "things that go bang in the night"—such as supernovas—by scanning enormous data sets gathered by sky surveys. 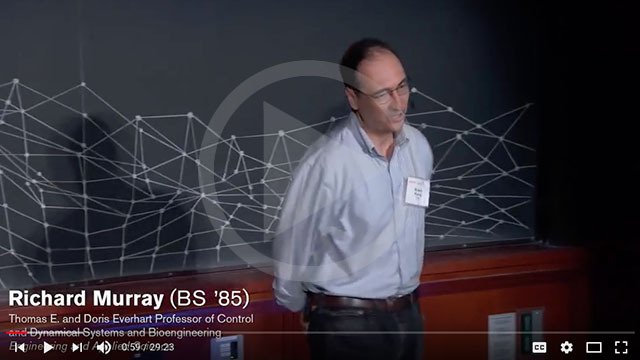 Richard Murray (BS '85), the Thomas E. and Doris Everhart Professor of Control and Dynamical Systems and Bioengineering, is creating synthetic biological machines with programming written directly into their DNA. Lulu Qian, assistant professor of bioengineering, is using DNA origami to create a real-life version of "Hermione's bag" (the bottomless storage of the fictional Harry Potter character's purse). 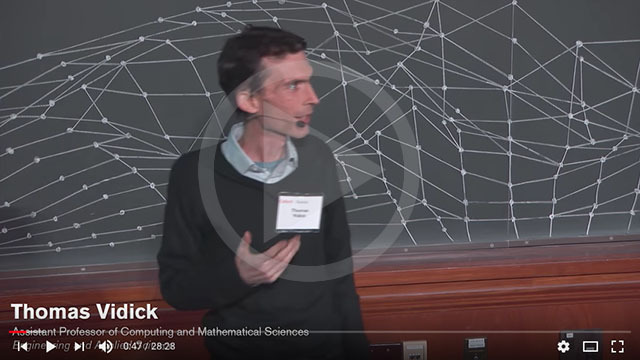 Thomas Vidick, assistant professor of computing and mathematical sciences, is exploring how the mysterious nature of quantum mechanics can be utilized to create unbreakable cryptography. 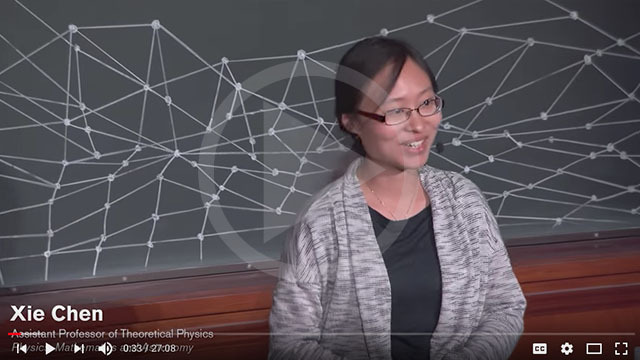 Xie Chen, assistant professor of theoretical physics, is developing a new model for quantum computing that overcomes the fragility of traditional approaches. 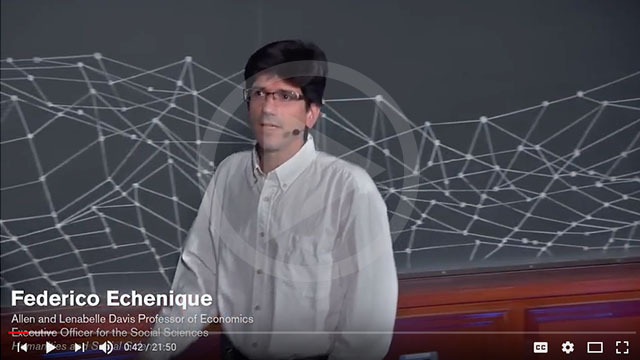 Federico Echenique, the Allen and Lenabelle Davis Professor of Economics, is studying how to improve algorithms that govern how student applications are reviewed assuaged frustrated parents in the Boston public school system. 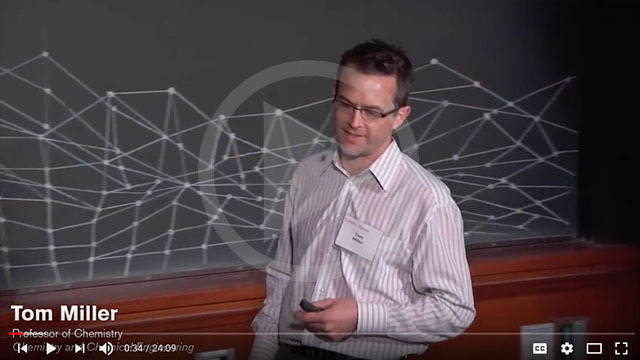 Tom Miller, professor of chemistry, develops advanced algorithms that allow more precise computational models, paving the way toward more efficient and less volatile lithium-ion batteries. 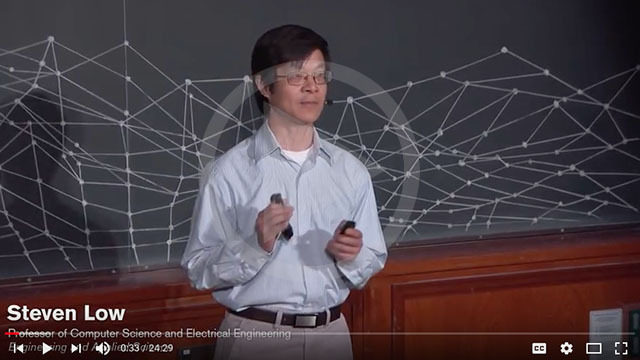 Steven Low, professor of computer science and electrical engineering, envisions a future in which algorithms govern electric vehicle charging, reducing the need for a massive charging infrastructure. Peter Schröder, the Shaler Arthur Hanisch Professor of Computer Science and Applied and Computational Mathematics, applies algorithms from quantum mechanics to the generation of computer-simulated fluids.